14th cent. 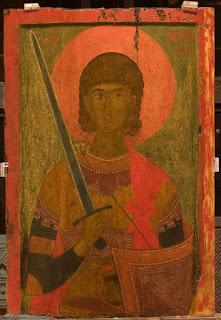 icon from the Church of Saint Prokopios in Beroia, that was stolen and remained missing from 1967 to 1974. 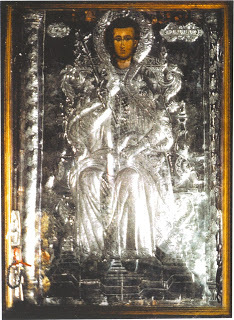 On July 6, 2012 it was returned to Beroia and placed in the Byzantine Museum of the city. 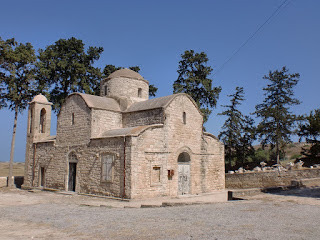 The Holy Great Martyr Prokopios, who was martyred in Caesarea of Palestine in 303 AD for his faith in Christ, is a highly revered and honored Saint throughout Greece and Cyprus. 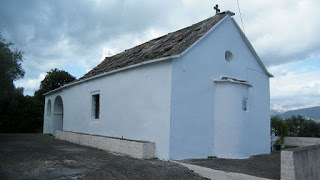 Among the churches dedicated to Saint Prokopios of distinction are 1) in Kerkyra, in particular in Kavos Lefkimmi and in the city of Kerkyra, 2) in Naxos, where the central church of the village of Vourvouria is dedicated to Saint Prokopios as well as the picturesque chapel on the island's homonymous beach, 3) in Lesvos, where the historic parish Church of Saint Prokopios in the village of Ippeion was reconstructed in 1741 and is adorned with a magnificent wood-carved iconostasis, 4) in Katerini, specifically on the Olympic Coast, 5) in Trikala, where there is a church dedicated to the Saint in a village named after the Saint called Agios Prokopios, 6) in Florina, where there is a church dedicated to the Saint in the village of Kladorrachi, 7) in Thesprotia, in the village of Lista, 8) and in Helydorea, where there is a chapel in mountainous Corinth that was an independent monastery but now is a dependency of the Monastery of the Prophet Elias at Zacholis. 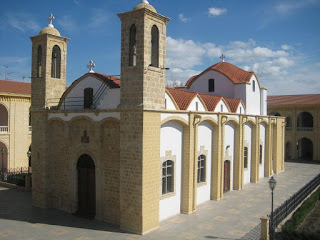 In Cyprus, Saint Prokopios is especially honored at the Metochion of Saint Prokopios, which is a dependency of Kykkos Monastery, and is located in Engomi of Nicosia. 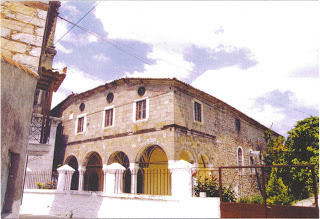 There is also the Byzantine Church of Saint Prokopios in the occupied village of Sygrasi of Famagusta, which operated until 1974. 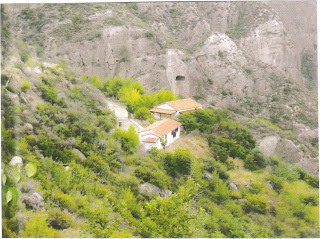 Holy relics of the Saint can be found throughout Greece and Cyprus, such as in the Monasteries of the Holy Trinity in Livadiou of Elassonos and the Prophet Elias in Thera.